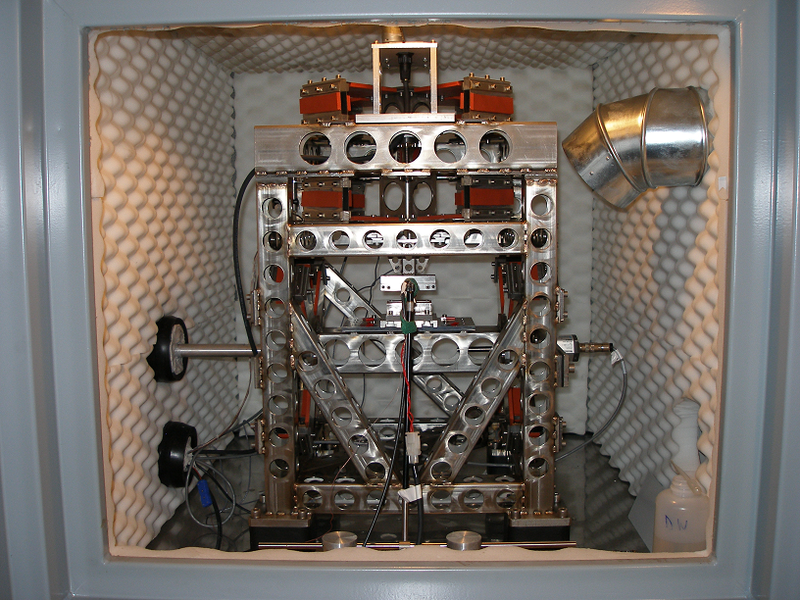 Material Compatibility Test System (MCTS) - MB Dynamics, Inc.
Find material combinations that perform best over a broad range of conditions. Troubleshoot existing squeak, itch and material compatibility problems. Evaluate effects of coatings; surface textures; material blends; adhesion between surfaces (stickiness); contaminants; oxides. 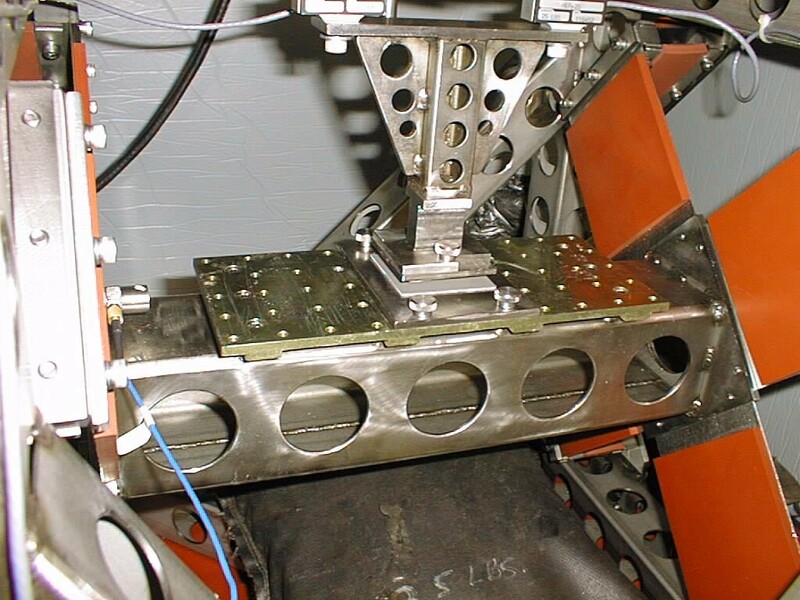 Assess durability of coatings under various environmental and wear conditions. Evaluate surface asperity interactions; static/kinetic friction differences; contact oscillations normal to motion excited by surface roughness and waviness; tangential contact stiffness. Correlate to friction math models to predict material compatibility performance. Identify material properties & system parameters that are good predictors of noise generation tendencies. Controller software acquires, records and archives acoustic time histories (sound pressure and Zwicker loudness); normal force and friction force between materials during controlled motion; displacement, velocity, and acceleration from any controlled motion (sine, single excursion, PSD random, time history, relative accelerations between near mating vehicle components); interference or compression (negative gap between mating pairs); and temperature and humidity inside Quiet Chamber during a test. 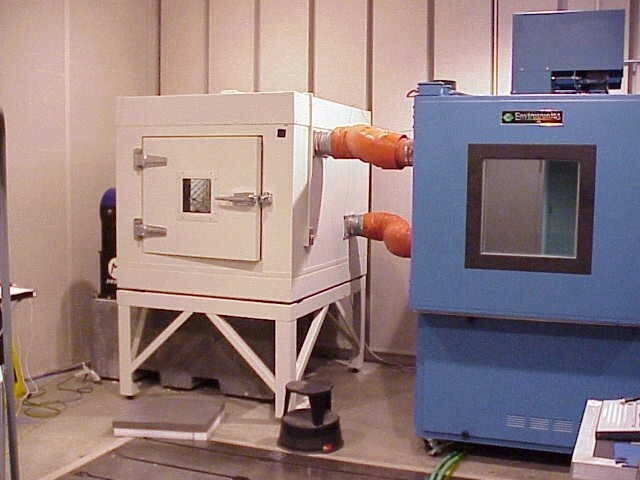 Quiet Chamber noise levels as low as 20 dB(A) and temperatures can range from -40 degC to +85 degC. Used to fulfill test procedures including GMW16321, GMW9842P, Ford CETP 01.07-L-400, and Ford CETP 01.11-L-400.